Purses & Clutches There are 205 products. Lovely bohemian pink and red rose embroidered womens clutch bag handmade in Thailand. This boho bag is a cute clutch purse perfect for every day use with it's amazing unique style. 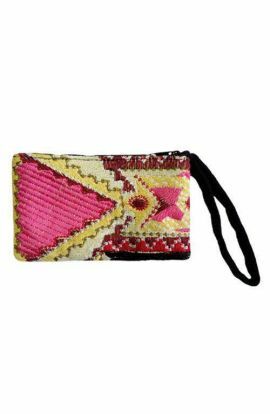 Length 8" Height: 4"
This cross stitch embroidered wallet is a boho wallet handmade in Thailand and is the perfect boho purse for everyday use. 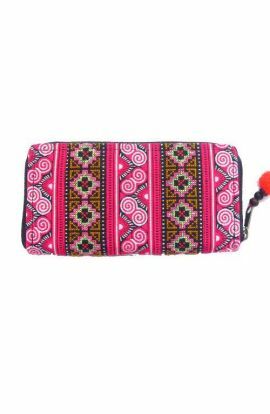 Length - 7.5"Height - 4"
Bohemian embroidered women's clutch purse handmade in Thailand. This boho bag is the perfect clutch bag for all festive occasions. 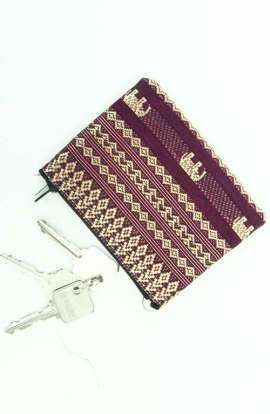 Length - 7.5"Height - 4"
A beautiful cross stitch fabric Hill Tribe clutch purse handmade in Thailand. This boho bag is the perfect clutch bag for all festive occasions. Length - 6"Height - 4"
A gorgeous embroidered Hmong women's boho bag handmade in Thailand. This clutch bag is the perfect clutch bag for all festive occasions. 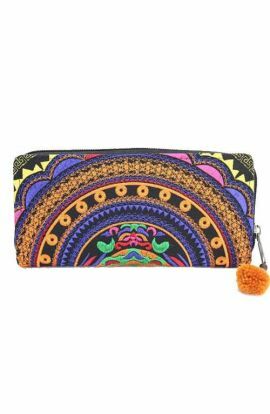 Length - 7.5"Height - 4"
Colorful embroidered boho women's clutch purse handmade in Thailand. This boho bag is the perfect clutch bag for all festive occasions. Length - 7.5"Height - 4"
Bohemian style women's clutch purse handmade in Thailand. This boho bag is the perfect clutch bag for all festive occasions. Length - 7.5"Height - 4"
Cute elephant print coin purse handmade in Thailand. This boho bag is the perfect clutch bag for everyday use. Length - 5" Height - 4"
A cute handmade boho coin purse with pom pom zipper. Length - 6" Height - 4.5"
Adorable little embroidered coin purse with unique design handmade in Thailand. Width 5" Length 4"
Adorable boho maroon elephant print coin purse handmade in Thailand. 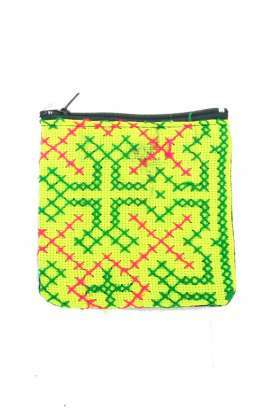 Length - 5" Height - 4"
Adorable little embroidered lime cross stitch coin pouch handmade in Thailand. 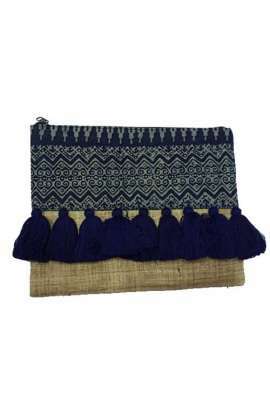 Width 4.5" Length 4"
A bohemian purse handmade with batik fabric and navy blue cotton tassel finish. This fringe bag is a great clutch purse for an evening out with friends.Length 28cm Height 22cm Please Note: There is a bag similar to this in the oversized clutch section. This is the smaller version of our oversized clutch!